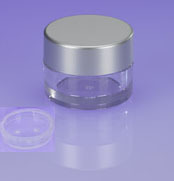 Studio Direct Cosmetic's Empty Jars are manufactured with the highest quality standards. You will be proud to package your quality cosmetics in any of our products. The items shown on this page are available to our International customers. However, please note that on International orders for any items on this page, the amount shown at checkout may not be correct and we may adjust the shipping and insurance amounts on your invoice. These lots tend to weight more than our other cosmetic items such as lipsticks and are often bulky. After we pack and weight your order, we will charge your credit card either the shipping amount shown on your invoice (if it covers the actual costs) or the actual shipping charge published by the US Postal Service, plus the insurance charge of $1.75 per $100. Thank you! 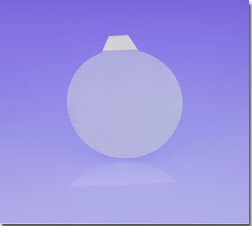 Available w White, Black or Clear Lids. These jars and lids measure approximately 5/8" high and 1 1/8" wide measured at the bottom. Our 3 & 5 Gram Sifter Stickers have a pull tab and may be used with the Sifters in our 3 and 5 Gram Jar Sets. Note: We are sorry that we are unable to cut the sheet to exactly match the jar set quantites. These jars and lids measure approximately 3/4" high and 1 3/16" wide measured at the bottom. 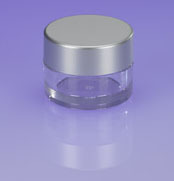 5 Gram Jars w Lined Silver Lids (Please note all sifters are presealed-Photo taken before we added the seals). 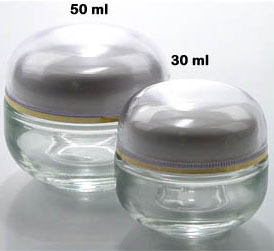 These jars and lids measure approximately 3/4" high and 1.25" in diameter. White Matte Labels feature a bright white face sheet with non-ooze permanent adhesive. These labels work with laser and inkjet printers. White Gloss Labels feature archival quality acid-free glossy labels for use in either inkjet or laser printers. These glossy label sheets have a total thickness of 7 mils with a brightness rating of 92 and are backed with non-ooze permanent adhesive. They feature a resin based coating that locks in inks immediately & are extremely smudge proof even when moisture is present. For best performance select a paper mode setting equivalent to Photo Paper or higher. Our 10 Gram Sifter Stickers have a pull tab and may be used with the Sifters in our 10 Gram Jar Sets. Available w Black or Clear Lids. These jars and lids measure approximately 7/8" high and 1 3/8" wide measured at the bottom. Clear Laser Labels feature a transparent polyester material with non-ooze permanent adhesive. This material works well with most types of laser printers and does not work with inkjet printers. The material has excellent resistance to water and is very durable. This label is great for creating professional labels as it is completely transparent. Please note that the label template will be emailed as an attachment to your shipping notification. Please adjust or check your spam filters and/or folders to allow emails from Studio Direct Cosmetics. 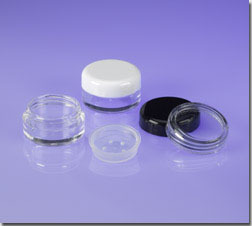 10 Gram Jars, Lids & Sifters (Pre-Sealed Sifter Seals are optional). 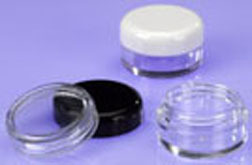 The 20 Gram Jar Sets Include One Jar, One Sifter (Pre-Sealed Sifter Seals are optional) and One Shiny Clear or Black Lid. These jars and lids measure approximately 2" diameter and 7/8" tall measured at the bottom. Our 20 & 30 Gram Sifter Stickers have a pull tab and may be used with the Sifters in our 20 and 30 Gram Jar Sets sold above. 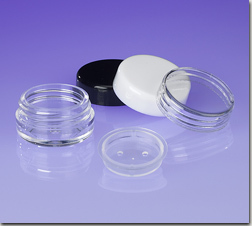 Each 30 Gram Jar Set Includes One Jar, One Sifter (PreSealed Sifter Seals are optional) and One Clear or Black Lid. These jars and lids measure approximately 2" diameter and 1 1/8" tall measured at the bottom. Our Private Label Specialty Round Labels are made for our Private Label resellers. These labels fit the bottoms of lipstick tubes and are also frequently used to denote colors on the bottoms of foundation bottles, concealers, lipsticks, lip gels, etc. These labels are manufactured with a Gorgeous Silver Metalized Paper Based Material which features a shiny reflective silver surface and a permanent adhesive. Manufactured for use in most most types of laser printers and copiers. 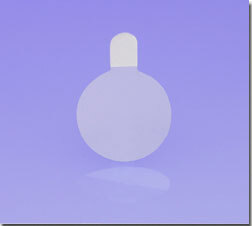 These Specialty Labels are .354" diameter circles and are very popular for use as high end cosmetic private labels. The label template setup instructions will be sent with the labels.